This past February, researchers presented their results of a study, published in JAMA, on the prevalence of fetal alcohol disorders in American children. It was alarming. In their study results, the researchers conservatively estimated 1.1 to 5 percent of kids are affected by alcohol-related disorders, up to five times the previous estimates. As part of the study, researchers evaluated nearly 3,000 school-aged children in four US communities. They also interviewed children’s mothers about their alcohol use during pregnancy. In all, they identified 222 children who met the criteria of one of the fetal alcohol spectrum disorders. The results of the February study were immediately challenged by some experts. Opponents cited problems with the study’s design and the reliability of its results. First of all, only 60 percent of eligible families permitted their children to be evaluated. In addition, more than a third of the mothers declined to answer questions about their alcohol use during pregnancy. The opponents of the study results believed the children not evaluated by researchers likely represented the most high-risk individuals. They also pointed out that mothers were likely unwilling to talk about their alcohol use because admitting to drinking alcohol during pregnancy identifies them as mothers who harmed their babies. Collectively called fetal alcohol spectrum disorders (FASD), alcohol-related disorders in children include a range of conditions that can cause physical problems as well as problems with behavior and learning. The most severe of the fetal alcohol spectrum disorders is fetal alcohol syndrome or FAS. FASD are the result of individuals having been exposed to alcohol prenatally. While they’re still growing inside their mothers’ wombs, babies’ livers are not fully developed. They can’t break down the alcohol, so it’s free to travel through the babies’ bodies and damage their brains and other organs. Among the effects of alcohol in developing babies is it lowers protein-calorie intake, which stunts cell growth. It also causes zinc and iron deficiencies, and alters the healthy level of cholesterol in the blood. In addition, it depletes a chemical that is needed to make an important neurotransmitter in the brain. Neurotransmitters help brain cells relay messages. 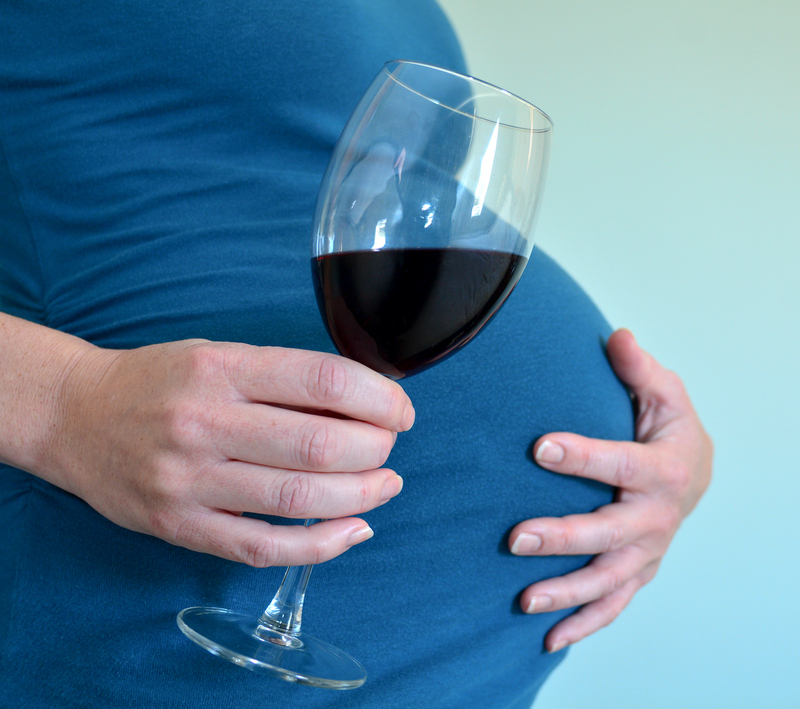 Alcohol, including wine and beer, is the leading cause of preventable birth defects in the US. The bottom line is there is no “safe” amount of alcohol to drink during pregnancy, and no “safe” time during pregnancy to drink. The brain develops throughout pregnancy, and even small amounts of alcohol can have a negative effect on that development. Some women drank during one pregnancy and had healthy babies and think they can drink during subsequent pregnancies with no consequences. Don’t take that chance. FASD can still occur. There’s no way to predict how alcohol will affect your baby, and problems can occur with one baby even though you’ve already had a healthy baby. The US Centers for Disease Control and Prevention recommends women stop drinking alcohol entirely when they’re pregnant. They even go so far as to warn women trying to get pregnant not to drink because they could be pregnant for three or four weeks before they even know it. The message is clear: If you want a baby without FASD, don’t drink during pregnancy.